As part of our campaign to improve workloads UCU has organised an open meeting at 1pm today to discuss workloads. It’s in the Maurice Keyworth Building, Seminar Room 1.33. Come along and discuss your concerns and your ideas. 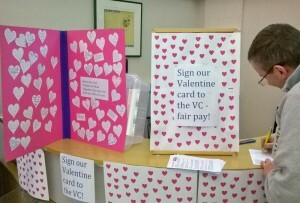 The card, and a lovely chocolate heart inscribed with the words “We’d love a pay rise” were taken to the VC on Friday afternoon. Sadly, he was too busy to see us, but we understand he likes chocolate, and we hope he enjoyed reading your messages. The serious point of course is that university staff have suffered real terms pay cuts for some years, and it’s time we caught up. It’s been in the news recently that many Vice Chancellors have seen considerable pay rises, so it seems only fair their staff are treated similarly. 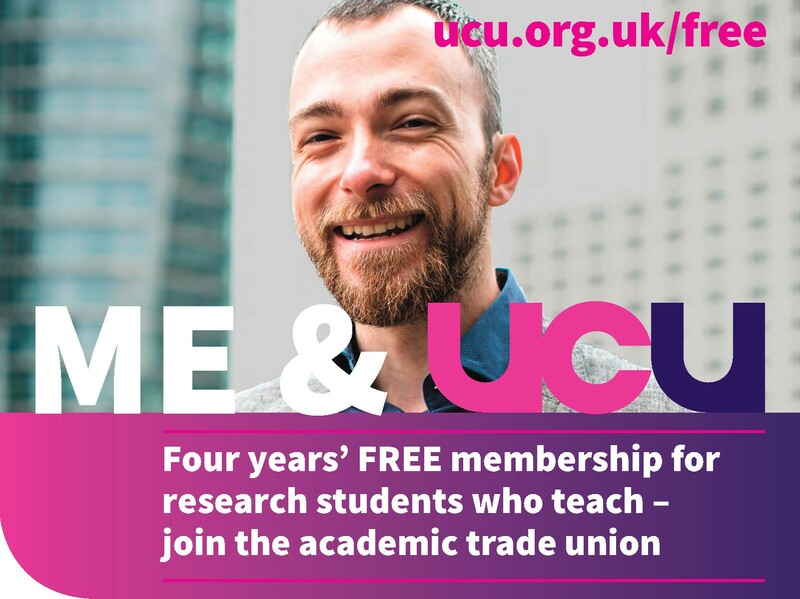 UCU hopes that university employers, including our own university management, will see the sense of this and agree to a fair pay rise in the imminent 2016 pay negotiations. For more about pay, read our short leaflet Fair pay in 2016. 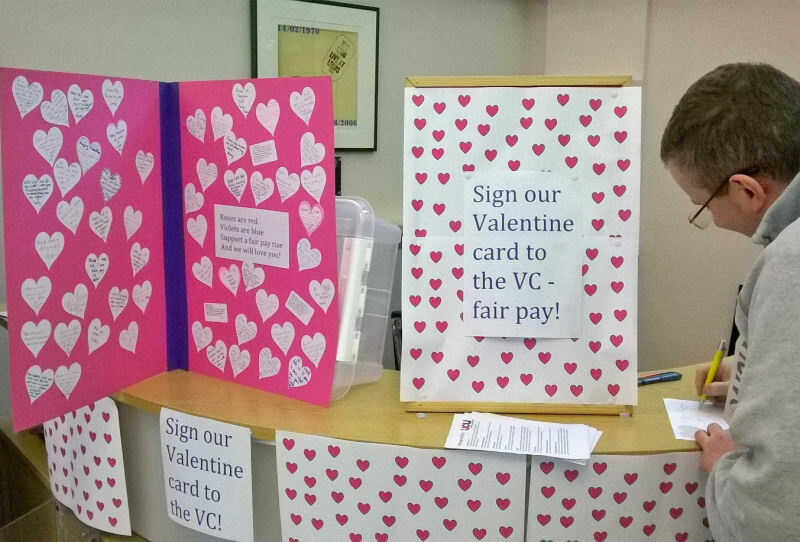 Valentine’s Day – we’d love a pay rise! 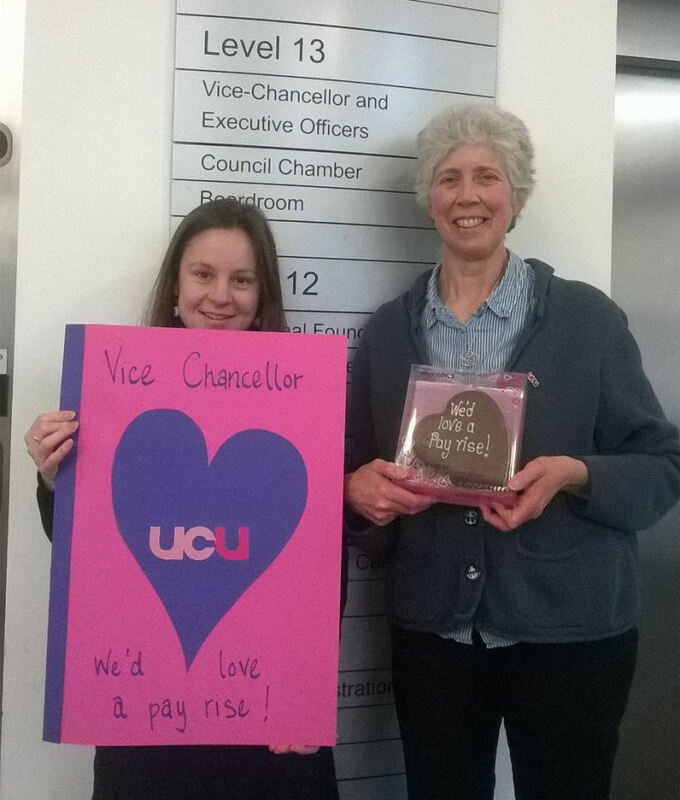 Leeds UCU is marking Valentine’s Day by telling the Vice Chancellor how much we’d love a pay rise this year. On Friday 12th February, UCU will present him with a huge Valentine’s card, including many personal messages from members. Messages and signatures are being collected on Friday lunchtime, between 12 noon and 2 pm, in the Refectory foyer. 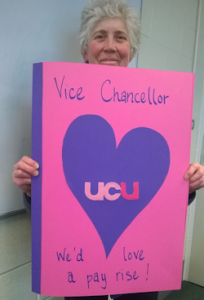 If you can’t join us there but would like a valentine message from you to be included, email it to ucu@leeds.ac.uk and we will write it on the card for you. We will also be giving the VC a chocolate heart, to demonstrate how much we’d love his support for a fair pay rise in the forthcoming pay negotiations. 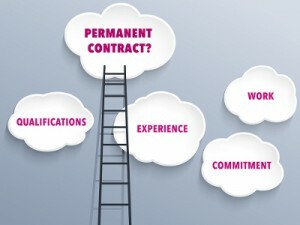 Casualised contracts include fixed term contracts, hourly paid, zero hours, agency contracts – essentially if you are not on a permanent, salaried contract this means you! If you are already on a permanent, salaried contract, please do feel free to pass the word on and encourage members whose working conditions have been casualised to attend. 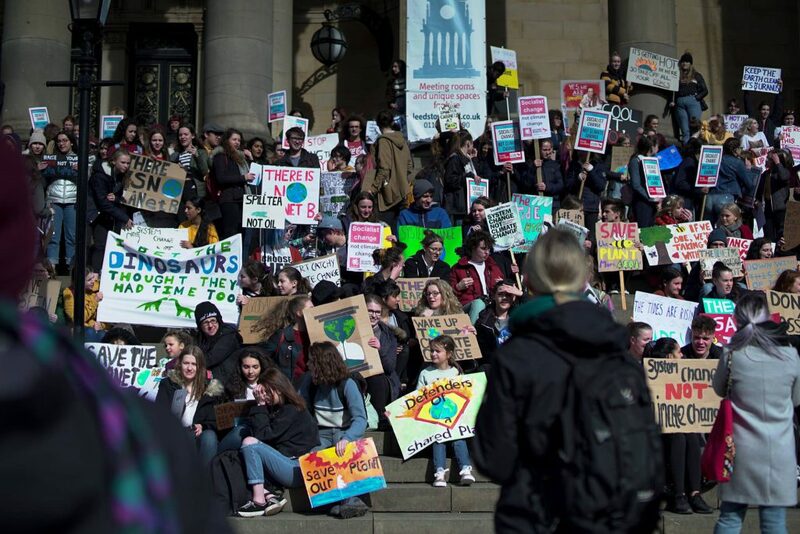 Leeds UCU campaign for secure employment for all staff: UCU has recently written to the university demanding more progress on job security and adding weight to our local requests for improvements. 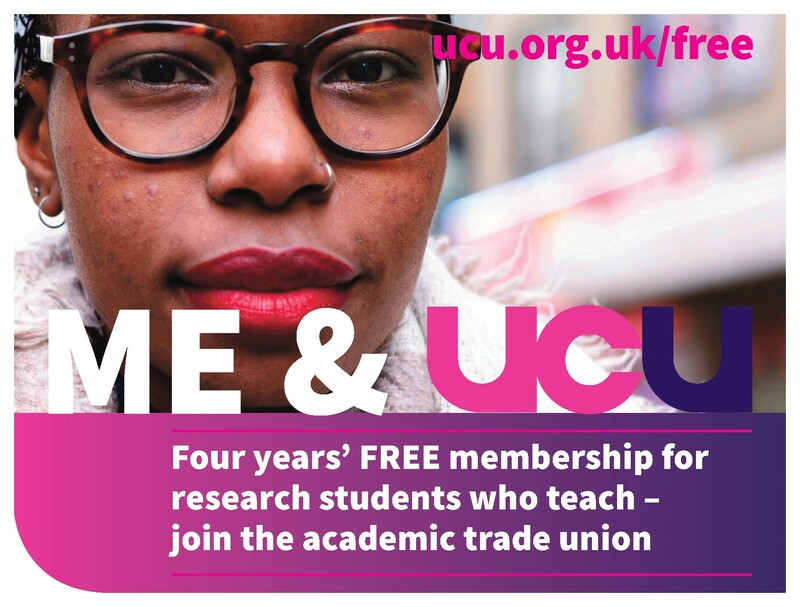 UCU’s national Annual Meeting of Staff on Casualised Contracts, 11 March, UCU head office (London): delegates, self-registration, and motions. The Annual Meeting is convened by the UCU anti-casualisation committee. It a very important opportunity for the voices of casualised staff at the grassroots level to be heard. Motions passed by this meeting will inform the priorities of the UCU anti-casualisation committee (ACC) for the coming year, and will also direct the ACC on the content of motions that should be sent to Congress and the Higher Education Sector Conference, where UCU policy is formed. It is also a brilliant chance to discuss issues relating to the national campaign for secure employment and to take part in a choice of excellent workshops. More information will be available at the Leeds meeting, but you can also email branch vice-president Vicky Blake if you wish to know more. 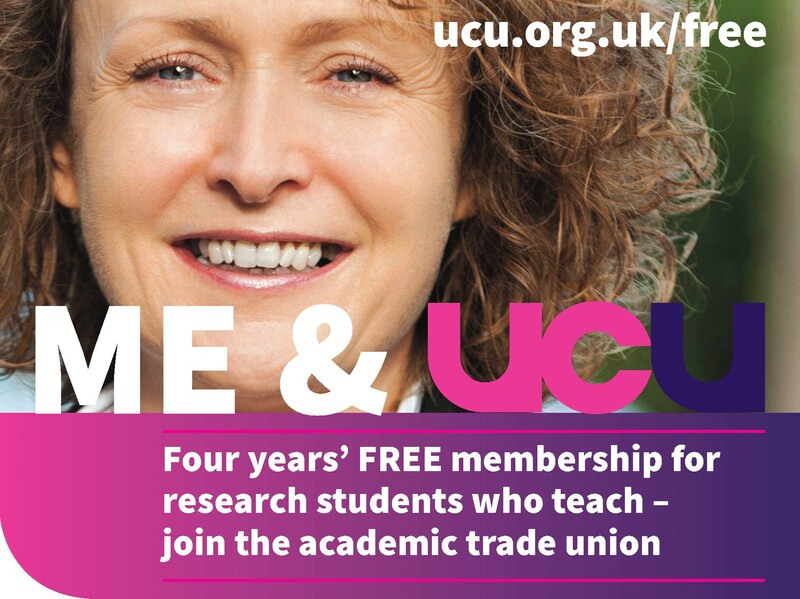 Delegates: We need to elect two members attend this meeting as delegates from Leeds UCU. We don’t need nominations in advance for that, you can put your name in at the meeting, but if you would like to be a delegate to but you can’t make this meeting on the 19th please email me. Self-registration: It is also possible to register yourself to attend the Annual Meeting if you are not elected as a formal delegate, and you will be able to participate fully in the meeting. Places for self-registrants will be confirmed after the branch delegates registration deadline, but you must also apply for a place by 26 February. 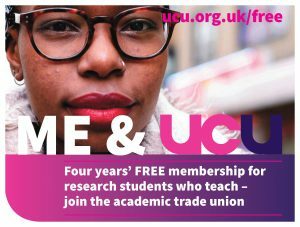 Motions: UoL UCU can also send a motion from the meeting on 19 February to the UCU Annual Meeting of Staff on Casualised Contracts. If you have a motion you would like to propose, please email a copy of your proposed motion (or details of ideas for one if you would like to discuss) to me before the start of the meeting. This will help us to plan the agenda timings for the 19 Feb, and will also help us to file the motions on time as the deadline is very shortly after our meeting will finish. We hope to see lots of staff on casualised contracts at the meeting on 19 Feb, and we hope there will also be plenty of interest in attending the Annual Meeting on 11 March. All travel costs for 11 March will be reimbursed by UCU, and lunch will be provided. If buying a ticket in advance for the meeting and waiting for expenses to be returned would make your financial situation difficult, it is very easy for us to arrange your travel to be purchased in advance by UCU directly, so long as we have enough notice – so please do not let purchasing travel tickets / logistics put you off! The TUC are running a a special week of activities to highlight the amazing work trade unions do. This is really important at this time when the (anti) Trade Union Bill is coming before the House of Lords. The government aims to make unions powerless, so employers can roll back the employment rights that have been hard won by trade unionists over many decades. What rights? Just a few little things like weekends and holidays, sick pay and maternity/paternity rights, protection against unfairness and bullying and unfair dismissal, the right to retire with a pension, equal pay, and much more. 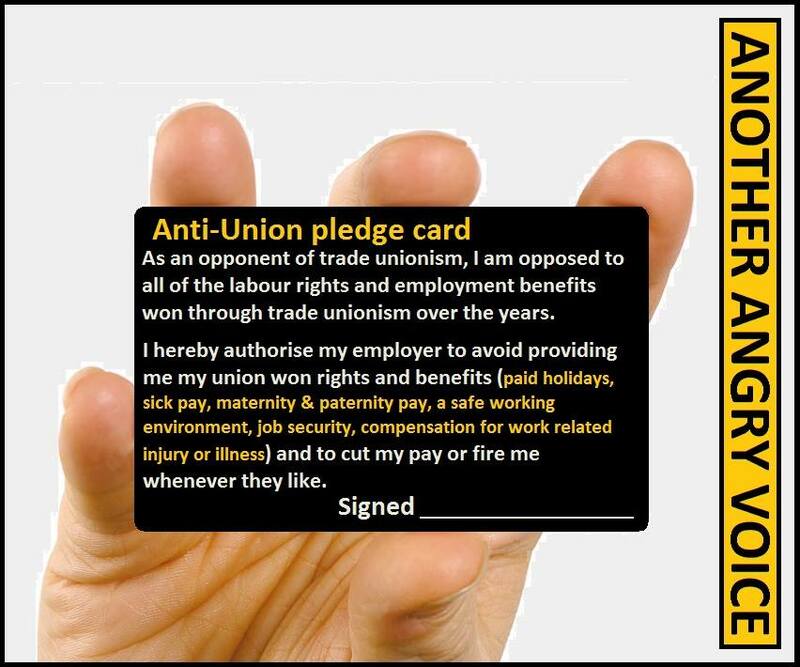 Some people think that these rights are now normal practice and unions are not needed any more. This is a bit like saying that everyone understands the rules of the road so we don’t need road signs and traffic lights. Without unions constantly on the watch, employers would be free to reduce pay and conditions and safety standards, sack anyone they don’t like, and generally make our working lives miserable in the pursuit of maximum profit. The Conservatives, along with much of the press, like to portray trade unions as irresponsible and selfish, constantly striking and causing havoc for no good reason. But the rights at work that we have today came from brave people, ordinary people, making sacrifices to fight injustice and create a fairer society by withdrawing their labour. It’s important that we can continue to do this when necessary. What you can do – please help spread the word about #heartunions week. Share the video on Facebook, tweet about #heartunions and just chat to your colleagues, friends and relations about why we need trade unions.